My absolute favorite thing to capture (besides weddings) are proposals! 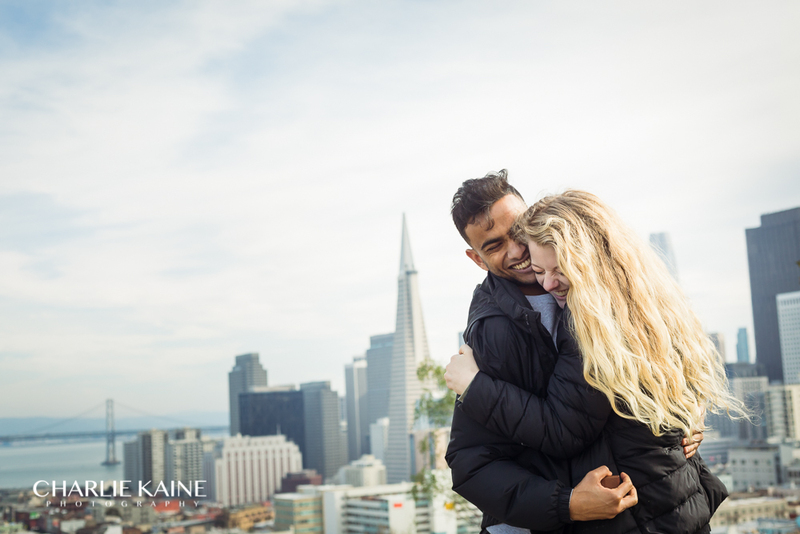 When Kodak first approached me to capture this surprise proposal in San Francisco, I was elated because it is one of the most amazing things to capture. I remember how nervous I was planning out how I was going to propose to my now wife. For guys, there are not too many events that we can plan without our better half being apart of it, so it means a lot to us when things go well and to have it captured. We planned out the location well in advance and just had to execute the timing of it. I got there ahead of time and put my gear together. Since I hadn't met his girlfriend yet, I knew she wouldn't recognize me, so I pretended to be a tourist taking pictures of the amazing view at Ina Coolbrith Park. They eventually got there and slowly walked right by me into the position I told him to get into. 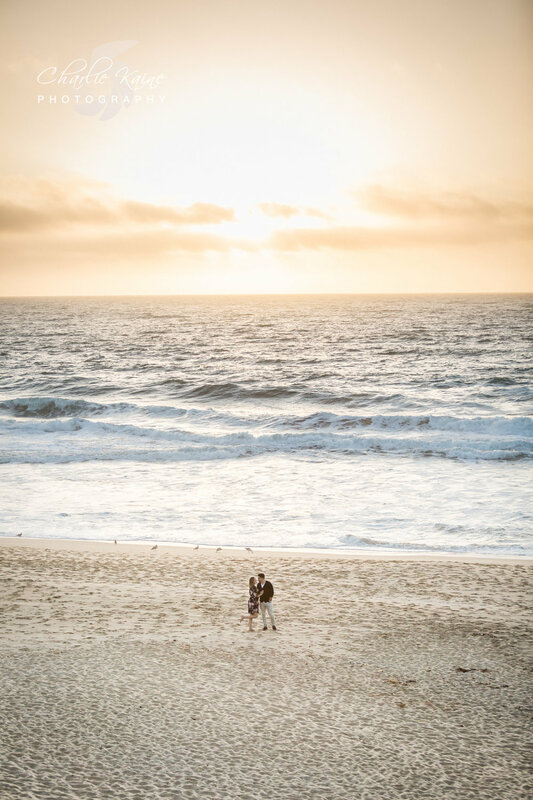 As they took in the beautiful view, I saw him nervously reaching into his left pocket to get the engagement ring and box out, so I knew it was game time. 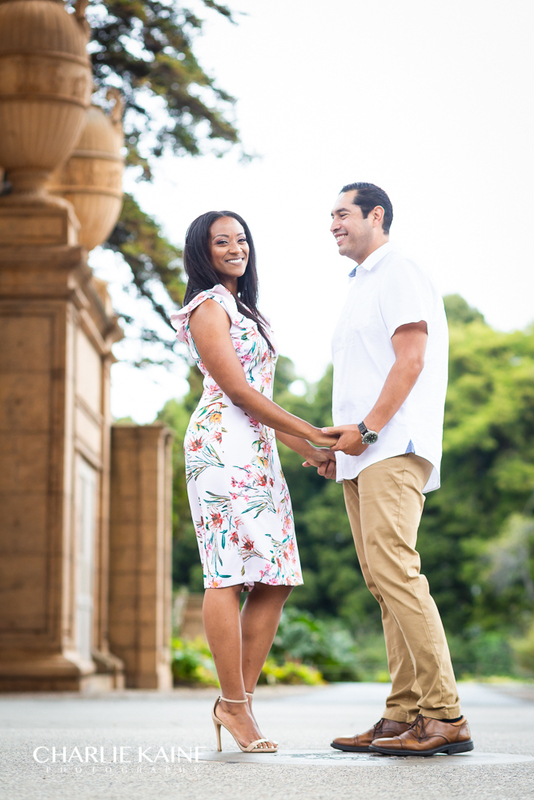 My camera settings were dialed in, and he turned to her, and I felt those same butterflies I had during my own proposal. He got on one knee, pulled out the ring and the rest was history! I think every guy should hire a professional photographer to capture their proposal. 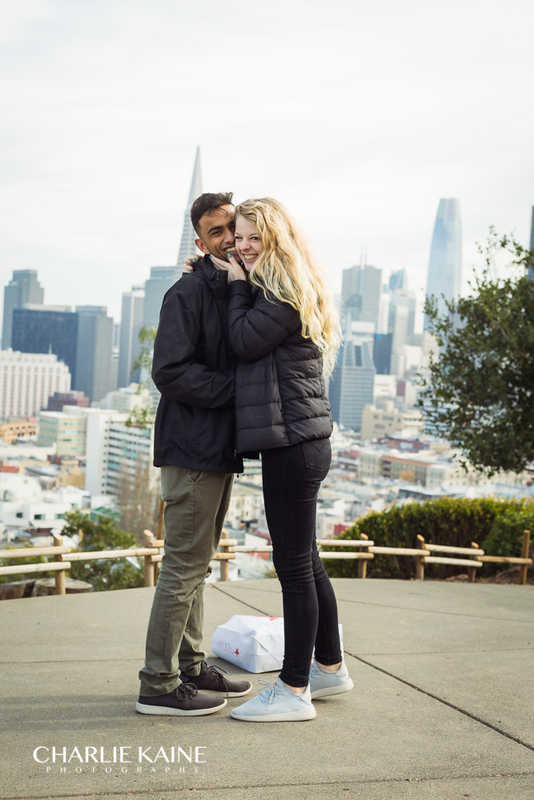 She will not only be surprised by the ring you give her, but she will also love the impromptu engagement photo shoot. Kodak and Anna are such a cute couple and are totally in love with each other and I cannot wait until their wedding! Ross and Tigist are great friends of ours and we were so happy for them when they got engaged. 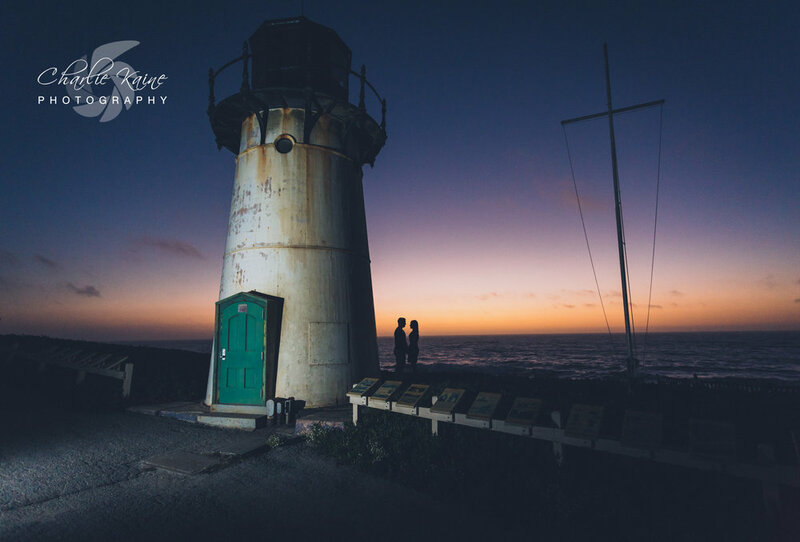 I was honored when they asked me to photograph their wedding and couldn’t wait to schedule their engagement session. We shot at a few locations, starting at the 16th Avenue Tiled Steps, which is where Ross first asked Tigist to be his girlfriend. 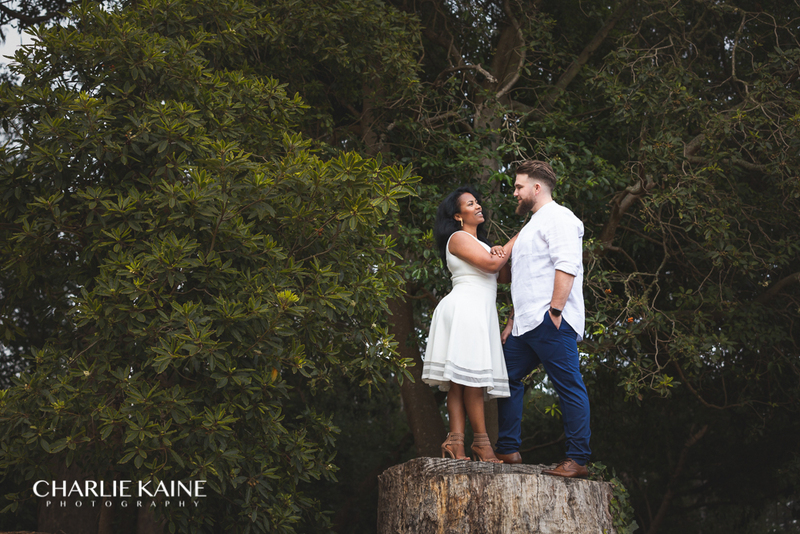 We then went to Golden Gate Park to continue their engagement session since Tigist really wanted to incorporate nature and greenery. I then suggested one of my favorite spots, Fort Point, right underneath the Golden Gate Bridge. We had a good time there but I wanted to go to one more location after that, so we drove to Treasure Island for a few more shots and lots of laughs along the way. 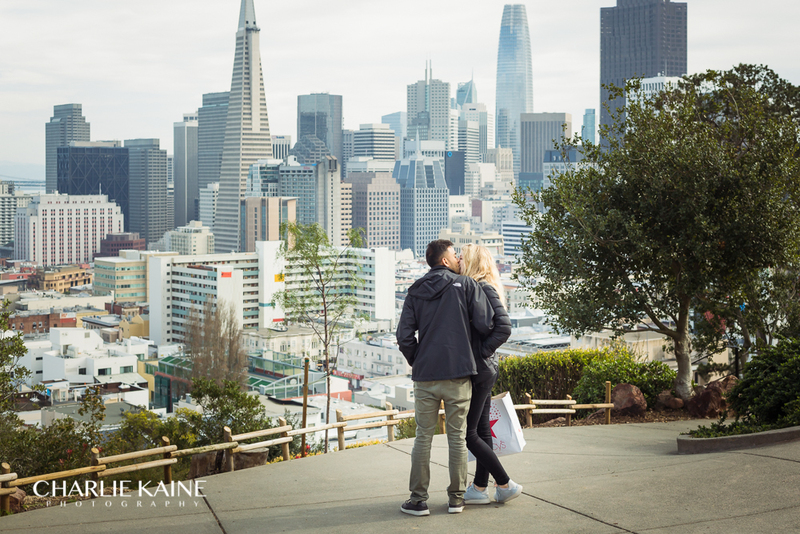 Had a great time hanging with Charvette and Miguel in San Francisco for their engagement session. The weather was rough early on but cleared up nicely by the time we got to Palace of Fine Arts. I had known Charvette for some years already, so it was an honor to be chosen to be their photographer. Their chemistry was evident which made the photo session so much easier. When you have a couple in front of you that likes to hug and hold hands and smile at each other, then my job is pretty much done. Looking forward to their wedding and seeing their blended family come together and become one strong unit. My wife and I have been close friends with Maissa and Andrew for over a decade now. We've literally known them since they were in High School. Andrew and I were roommates back in my single days in San Jose. I've seen them start dating, break up, and start dating again. To see them engaged and getting ready for their wedding day really melts my heart. When you see two people, obviously meant for each other, you want nothing but the best for them. It was truly an honor to be able to shoot their engagement photos at the lovely Mountain Winery in Saratoga. This was the first wedding that I absolutely did not want to be the wedding day photographer for; I will instead be one of the groomsmen, and to me that is much more important. Congratulations to Andrew & Maissa, may your love for each other grow everyday! I have had the pleasure of knowing both Tim and Melissa for some years now, and I was ecstatic when Tim FINALLY popped the magical question. 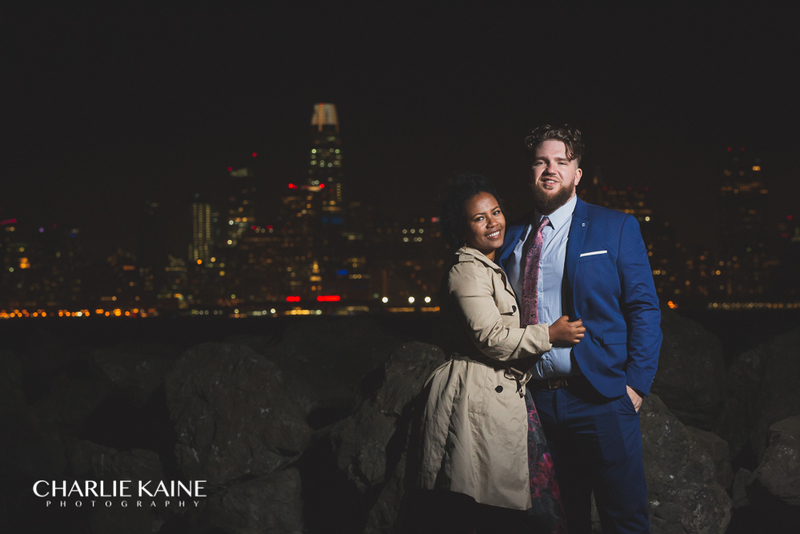 I was honored when they chose me to be their wedding photographer, and it has been a blast working with them throughout their engagement. 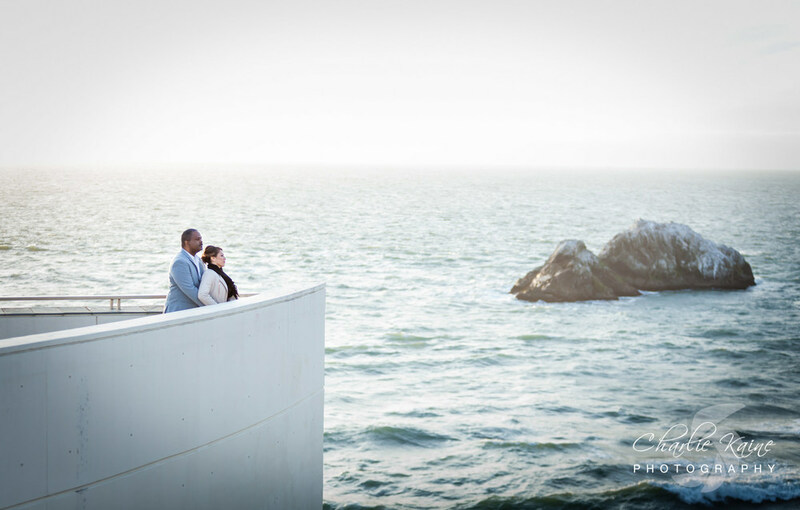 For this engagement session we met at Lands End in San Francisco on a sunny but very windy day. We had postponed the photo shoot due to two consecutive weeks of rain. 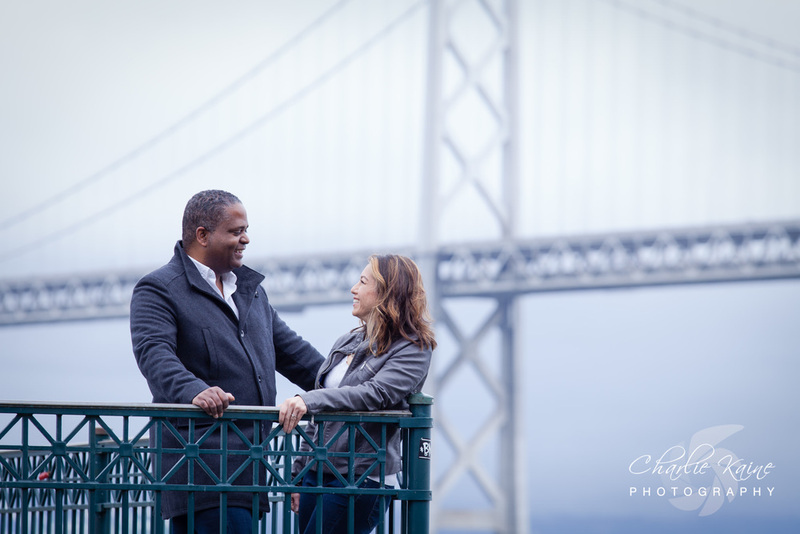 We also met the next day at the Embarcadero to get some beautiful shots of San Francisco Bay Bridge. Tim and Melissa are obviously deep in love, and keep each other laughing and smiling. It was a joy to just be around them and to document their love for each other. 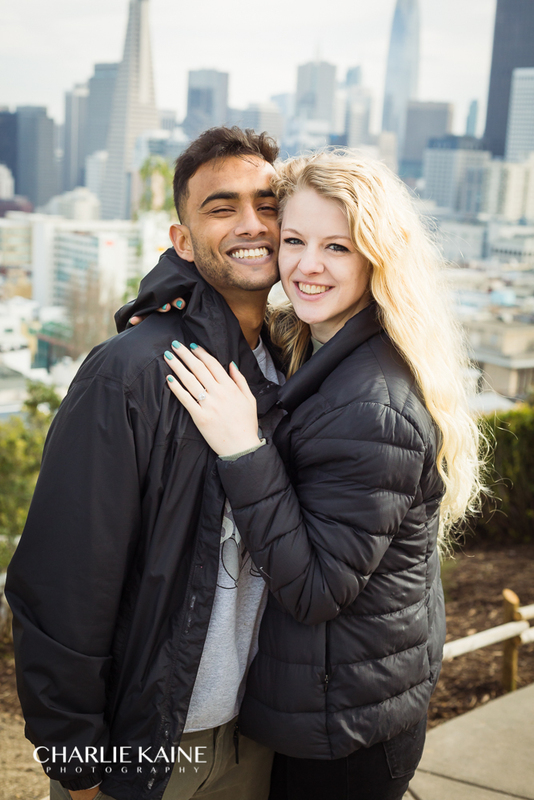 I look forward to photographing their wedding on April 9th! All Photos were taken by Charlie Kaine.